Billy Wayne Shark obituary. Carnes Funeral Home. Billy Wayne Shark Sr. was born on Jan. 28 1945 in Sugarland Texas to Melba Scott and Bill William Shark but Bill was raised by his step father Clarence Martin because he never met his father. He passed at his residence in Houston, TX on Feb 9th 2016 at 9:10pm, with his wife by his side as he took his final breath. Cancer won the battle again- “It is was it is” as Bill would say. 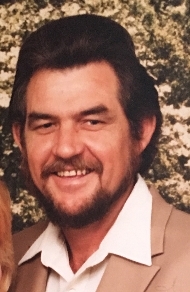 Bill was preceded in death by his grandmother and Grandfather Scott, His father Clarence Martin, His mother Melba Scott Martin, and numerous aunts and uncles. He is survived by his wife of 33 years, Connie Shark, a Daughter Cheryl Joplin, his step-daughter Percilla Harvey, his step son Clint page and his name sake Billy Wayne Shark Jr. who hopefully carries on the Shark name. He has 7 grandchildren Kenny Kitchen, Cody Page, Sierra Joplin, Page Harvey, Clay Page, Kaden Harvey, Shane Craft (Shark). He also has a great-granddaughter Lily Kitchen who looks just like her dad. Bill has always been an avid hunter and fisherman. He coached girls softball, girls basketball, wildcat youth football for almost 20 years though both sons and boys baseball for many years with his sons. He worked for American steel building for many years, Whirlwind steel building and J.T.B. services as a demolition supervisor. He was good at building things and tearing them down. He and Connie spent their later years going to all his grand childrens games and activities and love every minute of it. Bill dearly loved his 3 Dachshund dogs, and just wanted to be at home with them in the end.